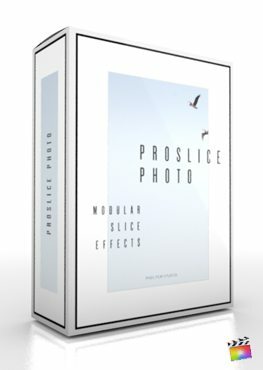 ProSlice: Photo is a unique layout toolset designed for Final Cut Pro X that allows users to quickly create photo/video collages. Final Cut Pro X Users can now make customized collage animations with ease. Choosing from fully customizable presets or already pre-made shapes, editors can quickly create a fully animated collage scene. Its as easy as dragging and dropping a preset then simply selecting a pre-positioned spot for each pre made shape. With layout guides editors can choose from multiple pre-designed layouts then simply click and drag the corresponding shape presets. Making a unique animated collage in Final Cut Pro X has never been easier thanks to ProSlice: Photo.